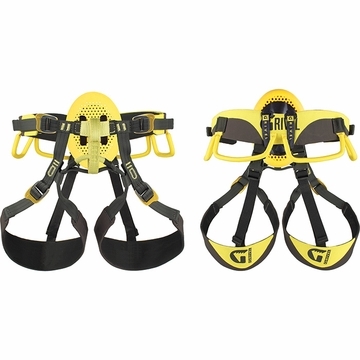 "An adjustable climbing harness with a unique design. The leg loops attach directly to the waist belt allowing for a wider range of motion when walking or climbing and alleviates pressure and rubbing in the groin area. The Web-Core technology provides comfort by dispersing pressure across your waist and thighs. Simplicity and functionality wrapped into one very versatile harness.